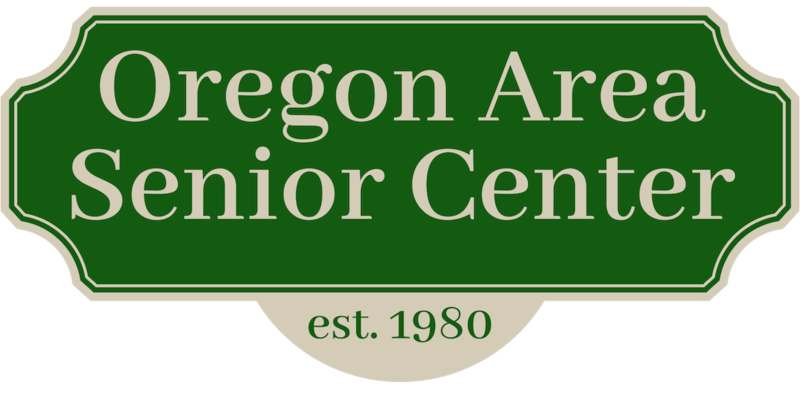 The Oregon Area Senior Center is a multi-purpose center focusing on the needs of older adults within the Oregon School District. It is a department of the Village of Oregon with support from the Village, Town of Oregon, Town of Rutland, and Dane County. The Town of Dunn and the Village of Brooklyn also support us. The Oregon Area Senior Center relies on the donations of generous folks in our area as well as the annual fundraisers for our programming needs. St Pat’s with Mike McCloskey Join us on Friday, March 16th at 10:30 AM for musical entertainment by Mike McCloskey. Mike’s talent includes Irish, Blue, Country, Jazz Standars, Swing, Rock and Folk. After his performance a delicious meal of corned beef & cabbage will be available to those who sign up by March 14th. Program is free (but donations are ALWAYS welcomed) and lunch is a $3.00 minimum donation. Call 835-5801 to reserve you seat! If you have questions about estate planning, trusts, wills, probate or whether you can gift assets, you should join us on March 29 at 6:00 PM for a presentation by Attorney Beth Cox. Attorney Cox will address these subjects as well as answer questions from the audience. This is a great opportunity to learn more about some very important subjects that could affect you or your family. Please RSVP for this program by 3:00 March 27. A light dinner will be provided. On Wednesday, March 14th from 9:00—11:00 AM you can create six handmade greeting cards to send to friends and loved ones. Instructor Katie Johnson will come with three different card samples and you will make two of each design. All materials will be provided including envelopes and adhesive. Everyone is invited—there is no experience necessary. This class is great for unleashing your creativity, learning a new skill, meeting new people, and socializing while you create! You must pre-register for this workshop by Monday, March 12th by calling Erica at 835-5801. Cost for the workshop is $10.00 per person (that’s only about $1.65 per card!). Ever wonder how they made that? Come learn how to make these wonderful Norwegian desserts for any occasion on Saturday, March 10th from 9:00 AM to Noon. All ingredients and recipes supplied. You may wish to bring your own apron as well as your own irons and/or tins or just use those provided. Each person will have the chance to make both kinds of cookies and take a dozen of each home to share. Cost is $20 per person. Then you can say ”I made it myself!”. Call 835-5801 to sign up by Wednesday, March 7th. Taught by instructor Gudie Huston who has 35 years of experience making these yummy desserts at home & at the St. John’s yearly Smorgasboard for your enjoyment! Find us on Facebook & Follow us on Twitter! View our calendar of events & activities at the bottom of our site! Visit www.oregon.channel3000.com or www.oregonobserver.com for the latest local news. The mission of the Oregon Area Senior Center is to provide the support, the services, and the opportunities for older adults to remain as independent as possible, in their own homes and in their own community. The purpose of the Oregon Area Senior Center is to support older adults in the Oregon School District intellectually, physically, socially, and emotionally in his/her quest to remain independent and in the community.